"Sonja Verbrugge had no idea that this was going to be her last day on earth." 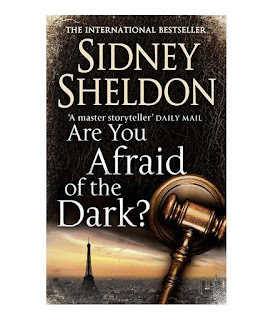 The master of storytelling, Sidney Sheldon, combines elements of mystery, espionage, murder and romance in this chilling and thrilling novel, Are You Afraid of the Dark?, about a series of mysterious deaths involving a powerful think-tank with a horrid secret. Sheldon wastes no time as he takes us right into the story with multiple deaths that are made to look like suicides, which happened to take place on the same night. When two wives, of the alleged “suicide” victims’, get together to go over their husbands deaths, they realize there is a peculiar connection between their deaths – both men worked for a giant think-tank called Kingsley International Group (KIG), and both men were on their way to meet with someone about something curious and dangerous. Something that would cost them their lives. The two heroines, model Kelly Harris and artist Diane Stevens, set out to meet with the inscrutable owner of KIG; the brilliant and powerful Tanner Kingsley, who has recently taken over the company from its founder, Andrew Kingsley (who is also Tanner's brother), after he was in a terrible accident that cost his ability to think. Or was it an accident? Soon after their meeting, Kelly and Diane are on the run from killers they cannot identify, yet who seem to be connected to KIG somehow. And no matter what precautions they take or where they go, the killers have no troubles finding out where exactly they are. Somebody intelligent and highly skilled is behind the scheme to end their lives, and silence them before they learn what happened to their husbands. As we are taken deeper into the thrill and drama, more bodies continue to be found, meanwhile both women continue to dodge bullets at every turn as they try to piece together the scandal of KIG and the countless deaths associated with something called “Prima.” As they inch closer to the truth, they find themselves face to face with a foul and clever enemy, which forces them to muster their deepest strengths they never knew they had, in order to stay alive. 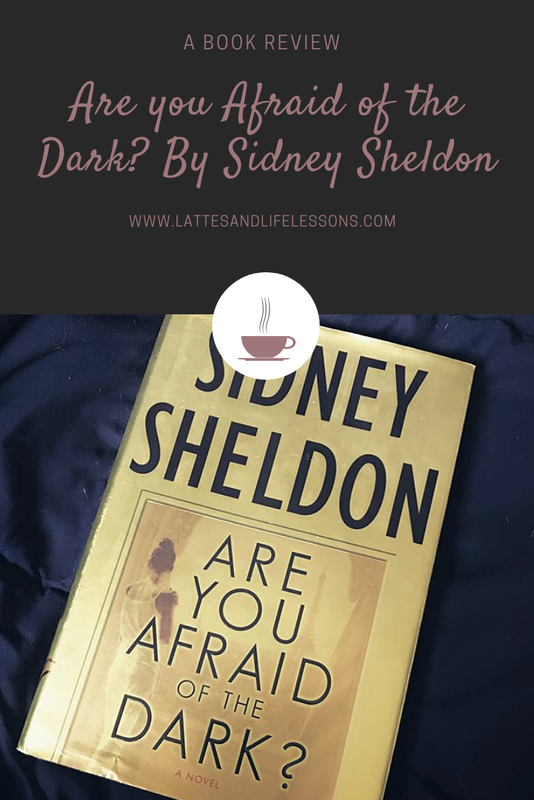 I have been in love with Sheldon's novels since I was sixteen. So, about seven years now. I have read some of his novels countless times, and I fall in love with them every. single. time. No joke. But this one here, literally blew my mind; it definitely took a turn in a direction that I did not even, or wouldn't have even thought of in a million years. If you haven't read this book yet (and you definitely should!) then I won't spoil what Prima is for you, but it is a way more sinister form of terrorism than I could have imagined, and what makes it more terrifying and intriguing, Sheldon solely believed that it is real and is currently being researched by the government today. "We could all sleep better if a world leader said, 'everyone talks about the weather, but no one does anything about it.' And it was the truth." 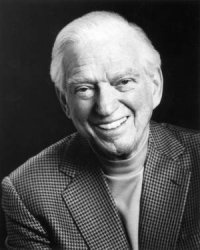 Sidney Sheldon was a bestselling American crime fiction and thriller writer, who began his (successful) career in Hollywood before trying his hand at novels. He was born Sidney Schechtel on February 11th, 1917, in Chicago, Illinois, to Ascher Schechtel, a jewelry store manager, and Natalie Marcus. Sidney sold his first piece of writing, a poem, for $5 when he was only 10 years old. Sidney worked a variety of jobs during the Great Depression and after graduation from high school he attended Northwestern University. Sidney moved to Hollywood in 1937 and his career began, collaborating on films and reviewing scripts. Sheldon won an Academy Award for Writing Original Screenplay (1947) for The Bachelor and the Bobby-Soxer, a Tony Award (1959) for his musical Redhead, and was nominated for an Emmy Award for his work on I Dream of Jeannie, an NBC sitcom. Sheldon had a Golden Palm Star on the Palm Springs Walk of Stars dedicated to him in 1994. Sheldon died January 30, 2007, after battling with pneumonia. YouTube is an amazing platform to not only find entertainment, but to motivate and empower ones-self. 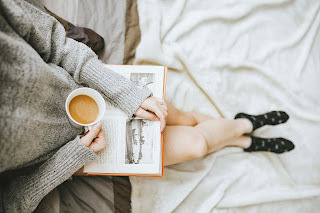 I think it is important to keep learning, whether you are trying to learn how to perfect a certain recipe, learning how to do calculus, how to fix a washing-machine, or learning how to have a self-care day (i.e how to meditate, what certain skin-care products will be good for you, or do yoga, etc). 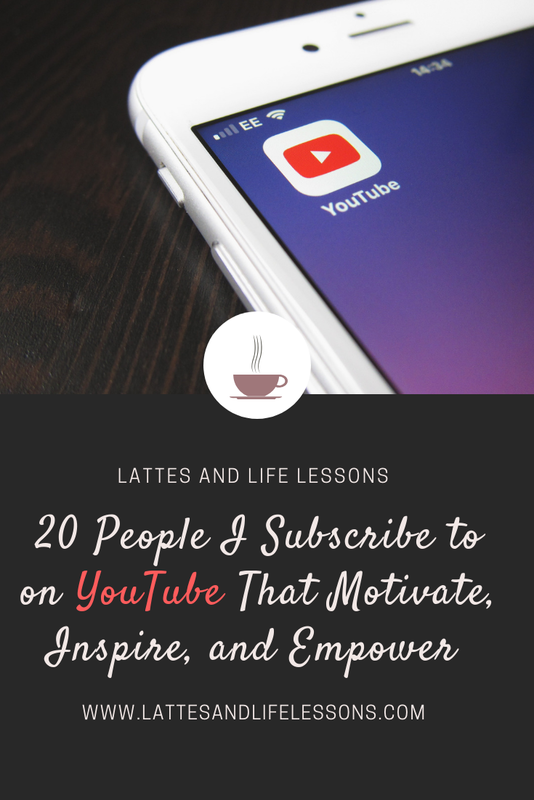 Here are twenty people that I personally subscribe to that I find motivating, inspiring, and empowering. It’s been a long while since the last time I thought of you. This time I wasn’t surprised or disgusted; not a single bit. I think it’s because of the new found acceptance of what happened to me, and the strength I gained because of having to go through it. That’s what I like to think, anyways. This time I thought about the day we met. You were mysterious, cold, and arrogant. Everything I disliked in a person, so why was I so attracted to you? Perhaps it was the right amount of cockiness and kindness you showed when you pursued me, and the adventure and craziness in your blue eyes, and carefree attitude. You were both what I loathed in a person and everything I have ever fantasized about at the same time. You were the unhealthy balance I decided to take a chance on. You treated me like I was some sort of slave. Some sort of toy… like I was your property. Yet, you treated me like a queen at the same time, as though you truly loved and cared about me. You were able to make me feel like I only had you, like I was worthless, and no one else wanted me, and yet you were able to make feel needed and amazing. All. At. The. Same. Time. You were a master at manipulation, I’ll give you that. I am not angry with you. Not even after your obsession to get me pregnant drove you to the point of being abusive and having psychotic outbursts; throwing tantrums every time a test came up negative; not even after all of the mental and emotional abuse/manipulation. Nor the time you hit me. Three times. Because I tried to leave and because I told you I was not ready for children. I am disgusted with who I was when I was with you, yet I am thankful you entered my life at the time you did and thankful for what I went through. After you left me deserted and broken, I learned how to put myself back together and now I am stronger than I ever was before. I turned my self-disgust and sadness into anger and strength, and now my independence and confidence make men nervous. I know the difference between a sick guy like you, and a genuine human being now. I took charge of my life, and now I will never allow someone like you to break me ever again; it’s happened for too long with too many, so thank you for being the one to open my eyes and help me come to terms with how much power I actually did have. Without you, I would never have met the amazing man I am with now. Without you, I would never have learned how to lift myself up, put myself together, and help others to do the same. I have been quiet about what I had went through ever since you got taken away, and now I think it's time to use my voice. My story deserves to be heard, too. All day I felt like crying. All day I felt like giving up and going home. I have days like these often, but I can usually fight the feeling off until the next day. But something about today was just too much. I felt defeated. I felt alone. And I felt trapped. 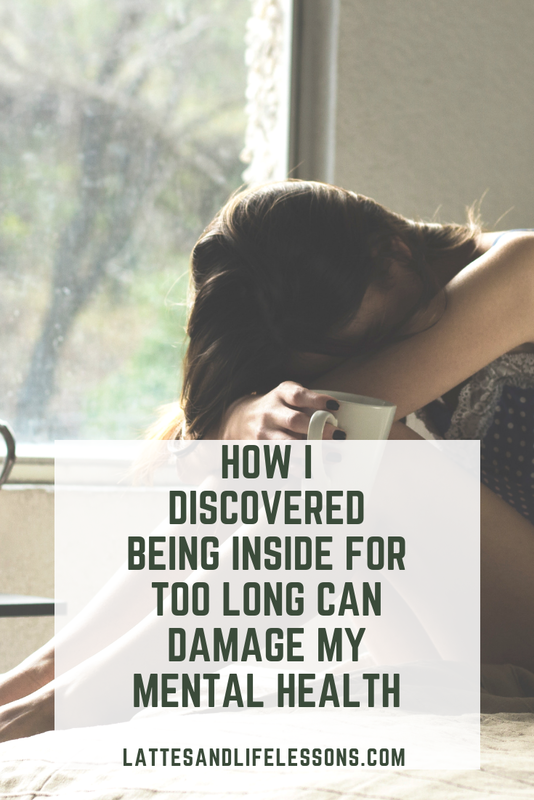 I don’t know why; life has been pretty kind to me lately, but it just felt like I’ve been fighting a battle that I don’t seem to be winning and I just couldn’t handle it any longer; it was too much. Everything was just too much. I just felt exhausted and I felt like crying the whole day away while blasting Sam Smith on my TV. But, I made it through class, I toughed it out on the bus ride home, I even made it through an hour of laying on my couch in silence, still in my jacket and shoes... before I finally broke down. I cried and cried until I couldn’t breathe. My eyes are now sore and I can’t seem to stop this running nose (gross, I know). I was just thankful that I was home alone; I couldn't stand the thought of someone hearing or seeing me this way. 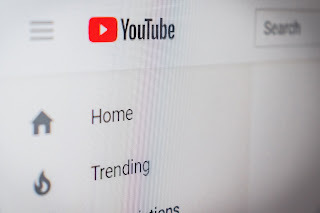 I got on YouTube and put on Kalyn Nicholson. Her channel is amazing and it always helps to take my mind off of things, if only for a moment. While watching one of her videos, with green tea in my hand, I started thinking. I came to the realization that my breakdowns (or “episodes”, as I like to call them) happen more often around the times when I become lazy and start to procrastinate more. Lately, although I’ve been pretty good with my grades and attending class, I’ve mostly been laying on my couch, and binge-watching Netflix and YouTube. Aside from going to class, I don’t even remember the last time I went out and socialized or enjoyed a walk. See, I’m a classic introvert. I love my solitude and I can't stand being around people for too long (I love being at home), but even I have to go out once in while, to avoid feeling lonely and shut in. Staying inside your house for long periods of time is unhealthy. It’s not right for your mind, body or soul. Even going for walks by myself tends to do wonders. You don’t have to talk to other people if you don’t want to, but please, once you realize you’ve been inside for too long, go sit at a cafe or library, and go for a walk. It’s when you and your other half work together to raise your child after separation/divorce. 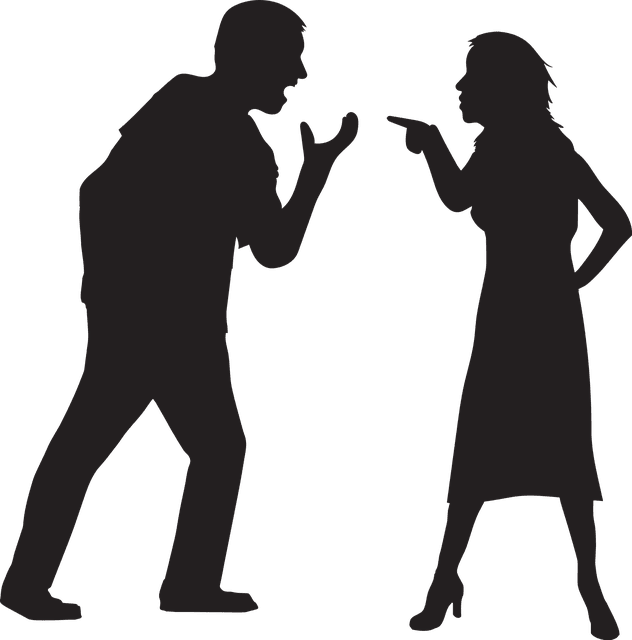 In most cases, the “working together” part can be tough and near impossible at times: fighting over what is right for the child or fighting over who’s turn it is, etc. I just want to point out that raising a child with your ex-partner does not have to be difficult. It’s all up to you. Both of you. Listed below are just a few of the things parents have told me they wished they knew/did when they first made the separation, and what I, myself, have experienced with my partner and his Ex. 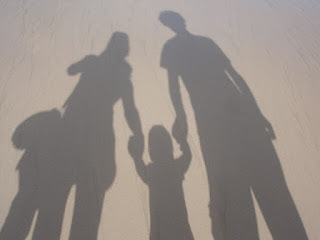 Making decisions concerning your child. When a decision comes up and you think it’s okay not to include your “baby mama/daddy,” or if someone tells you that it's not a big deal to include the other parent, then you’ve just made a huge "no, no." Any decision, whether it may be huge or small, I beg you, always, always, always include your child’s other parent. Put yourself in their shoes, how would you feel if they made any sort of decision without including you first? Whether they agree or disagree with you is the least important part because the thing that matters, is that you had the courtesy to include them in the situation. Arguments are okay. Sometimes they’re healthy. Sometimes they’re inevitable. But what’s not okay? Withholding your children from the other parent or using your child as a “weapon.” The only time you should “keep” your children from the other parent, is if your child is at risk of danger, etc. It is never okay to keep the other parent out of the picture just because the two of you are arguing. Revenge and being petty is not the answer, and in the end, you’re hurting the children just as much, if not more, than the other parent. Your child just wants to be loved and to feel safe. You should be setting an example for your children and show them, that no matter what happens, their parents will be a team and be there for them no matter what; you should be showing them how to be respectful, kind, and generous (because if ever they're in situation where they don't want to be in, they'll behave appropriately and respectfully - it all starts with your own behavior). At some point, you have to realize and accept that your ex is going to meet someone else, and it may end up being serious. At some level, you have to respect that, but also, you have to make sure that your Ex respects your wishes to not introduce someone they are dating until after a certain period of time (if that is what you wish)- i.e. when the new couple establishes the seriousness of their relationship. But after they establish that their relationship is not just a fling (they’ve moved in together, they’re planning a life together, they're engaged), you have to accept the fact that that person is going to be in your children’s life from here on out (I’m not saying you have to right away). Instead of making their lives hell, be grateful that your children have another person to look up to, and has another person to love and care for them. Remember, your children deserve the best from BOTH parents. Your children should come before your nasty feelings towards the other parent. Be the person your children will look up to, respect, and would want to be. Things will only be difficult if you make it so. 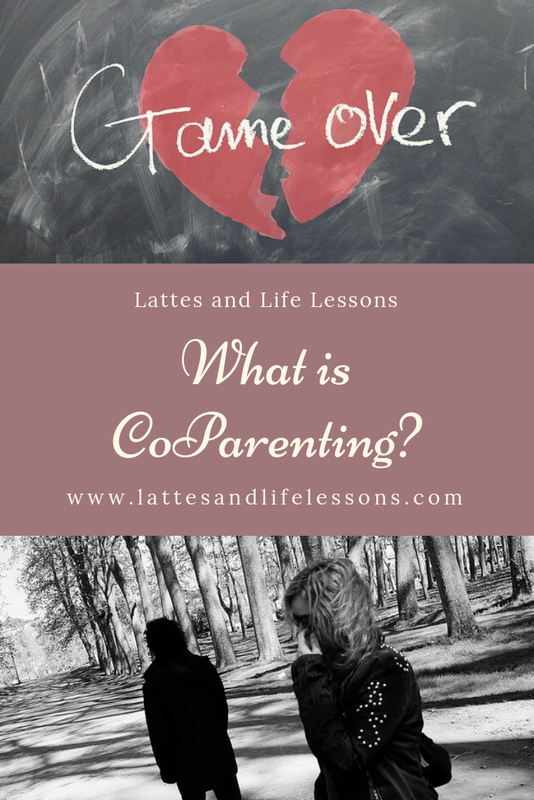 I am by no means trying to tell you how to co-parent or what to do in a similar situation. It is completely okay if you do not agree with what you read here today. Read the full disclosure here. You know how sometimes we see someone, and you automatically admire or envy them? Because for some reason you tell yourself that you’re not as good or as successful; not as pretty or as smart as them... I know that that is something a lot of us can relate to. But let’s try to figure this out and turn the tables around, so to speak. 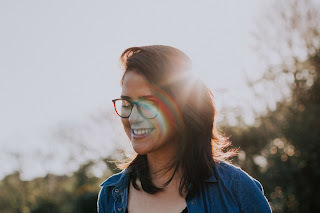 The next time you find yourself admiring someone else or feeling envious of them, ask yourself what exactly are the traits that you like or admire or are envious of. Instead of being envious, try to think of it this way: maybe you’re inspired by them. So, focus on the traits that make you feel so strongly. People see the world in a way that connects back to ourselves without even knowing it. So, you may not even realize it, but everything you see, or notice, already reflects who you are. Write those traits down because the reality is, what you see/admire in others, is what you have within yourself already. So, instead of comparing yourself and putting yourself down, realize that what you are seeing in those people, is what you have within yourself as well. Those traits want to come out, they just need you to believe in yourself. 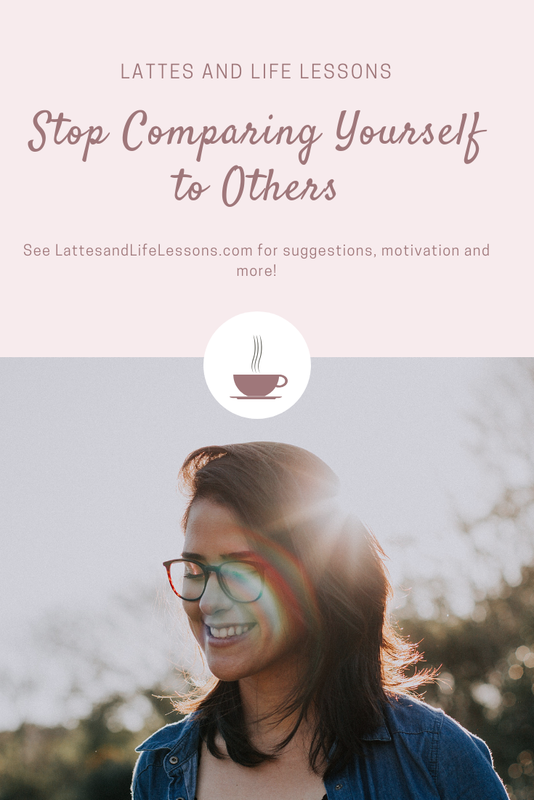 So, now that you know everything reflects you, and you’re no longer letting that comparison trap make you feel insecure, let it empower you. Accept your flaws and accept that you are more than enough, and you have the power to change not only your life but others as well. Remind yourself that other people’s “outsides” aren't always what they seem. This is such an important thing to factor in. Unless you know for sure, you can’t use people's "online" appearance to judge the reality of their life. People select carefully what it is they wish to show on social media (their audience), and do the same with the lives they live in public. You may have had a similar experience, as I have, of being left speechless when a couple that appeared to be happy and solid, announce their divorce. So, wish others well, always, but, if ever their life gives you a reason to feel bad about yours, remind yourself that you don’t actually know what goes on behind closed doors. 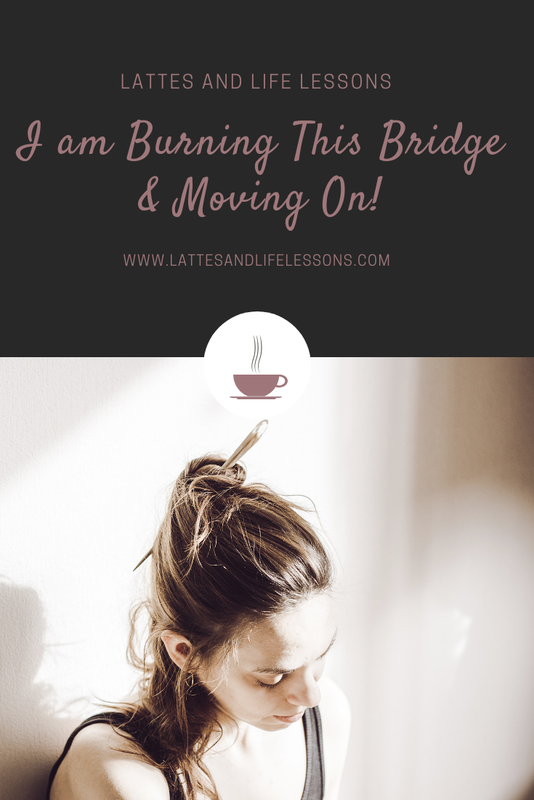 Every now and again, we go through a rough patch where we feel low and lost and defeated. I have felt this multiple times in my short life. We all want to be happy and balanced. It’s not always easy, but it can be done. Determination, support, and patience are key factors towards a more brighter future. 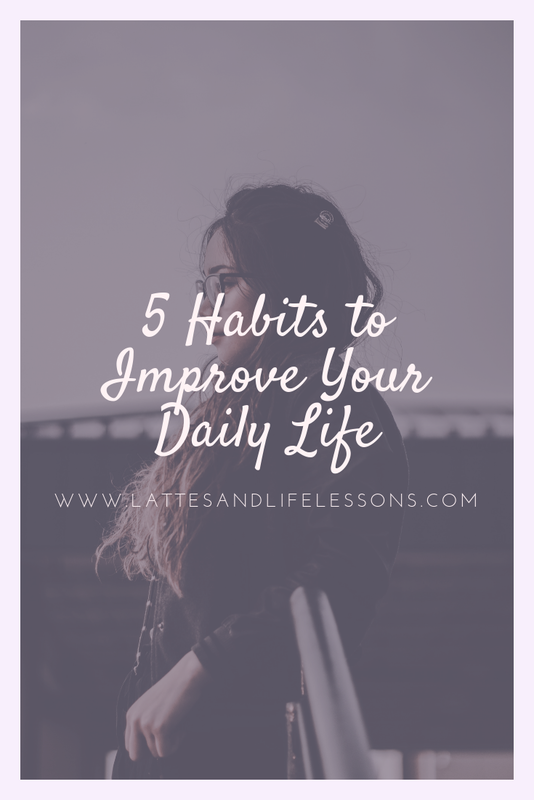 One of the first things I knew I had to work on for my personal development before I started on anything else, was to improve my outlook on my life. Continuing with the pessimistic mindset was just not going to cut it. I had to change the very way I thought… Which wasn’t easy, to say the least. So here, I will give tips on how to speed up the process for you. That’s right, you read correctly. It’s been proven time and time again how amazing our brains actually are. This was actually a technique I picked up just recently; I was having one of my episodes and I would intentionally pretend to feel happy; I’d do everything I knew that would make me feel better and you know what – it worked. It’s a don’t-knock-it-until-you-try-it type of thing, and I intend to use it whenever I need to. Ever had to harass your child or partner to do something? Same. For some odd reason, neither one of ’em refuse to do anything I ask the first time around and usually wait until I yell at them and I am red in the face. Sure, it felt good once they finally did what was asked of them, but I also realized how much stress it was putting on me. I cannot stress this fact enough; my daily life has become so much easier after I stopped nagging them both. Instead, I ask them politely, and if they still haven't moved, I smile and tell them that I will help them with the task. Enjoy failure and learn something new. Sound odd? At first, it did to me, too. Do you know what isn’t odd? The beautiful results of not making a huge deal out of my failures. Learn to enjoy challenging yourself daily. Learn a new game, word, language or subject; go exploring and take up a new hobby, and I promise you, your brain and conscience will thank you. People who stick to routine tend to be less happy than those who challenge themselves and enjoy failure. After all, without failure, how else are we supposed to learn? There’s a reason this is a cliche. Even as little as seven minutes a day can assure you great results. It boosts energy, your immune system, it can help you relax, and it also improves brain power. A simple jog, walking, a small work out from home or even yoga can help get you to where you want to be in your life emotionally and mentally. Start your day off positively. How you start your day off usually sets the tone for the rest of your day. So be careful on how you start your mornings. If you have a lot on your mind and it’s causing stress or anxiety, consider keeping a journal/notebook next to your bed so that you can write down all of your thoughts first thing after waking up. In this journal, write down everything that just won’t leave your mind. The great thing about this is you don’t have to filter anything, write them down as they come along, and enjoy your morning coffee. Releasing all that tension and worry in such a healthy way can really help you improve your mood and the outcome of your day. I hope you found these tips helpful, and thank you so much for reading! If you have any questions or have suggestions of your own, please let me know in the comments below. I try to repeat this to myself daily because it is good to have a reminder that yes, I am enough; yes, I am worthy; and yes, I am wonderful and doing everything I can to survive in this world. 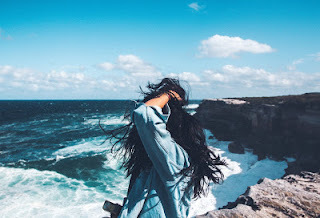 You should never depend on someone else to make you happy, in my opinion, that is the riskiest thing you can do that can damage your self-worth and self-confidence. Although it is great to have someone else say these things to you every once and again, it can also be quite dangerous: because then you start depending on that person or those people to say those things for you, rather than yourself. You'll never be truly happy if you always rely on another person. Once you start to love yourself and believe in yourself, you will see that your confidence will grow and you will feel strong, solid, and balanced in your self-worth. You’ll know that, even if you make mistakes or if you fail, it will be okay and you can work through it because you can do whatever you set your mind to. It is no secret that most of us, if not all, are guilty of relying on another person to make us happy and make us feel worthy. For me, it was my significant other (during the first year or two of our relationship). 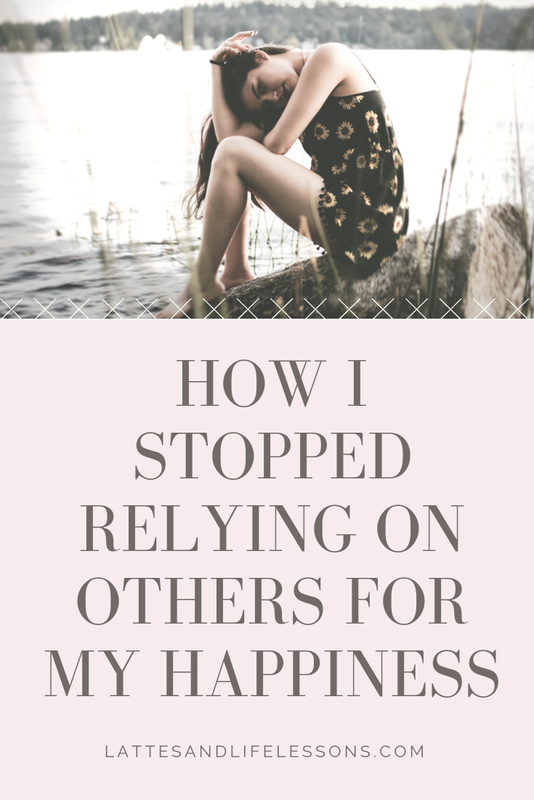 I snapped out of it once I started realizing that the only times I felt joy and felt complete, was when Charles was by my side; it was a mistake that I made with my ex-partner, and not one I wanted to repeat. Soon after my realization, I started taking myself on dates and forcing myself to do these on my own. I'm not going to lie, it took me a long while to learn how to be happy by myself and feel secure in my own mind and body. Fortunately, my other half was more than supportive and understanding while I went through this "find myself" phase. If anything, I feel as though we became closer - I now know that I can be happy by myself, but I am choosing not to be. Everyone wants to feel happy, fulfilled, and excited about life. Unfortunately, motivation and excitement never last long for most people, in fact, in most cases, motivation doesn’t exist at all. I know, it’s unbelievable, right? But this sort of case is a lot more common than you may think. 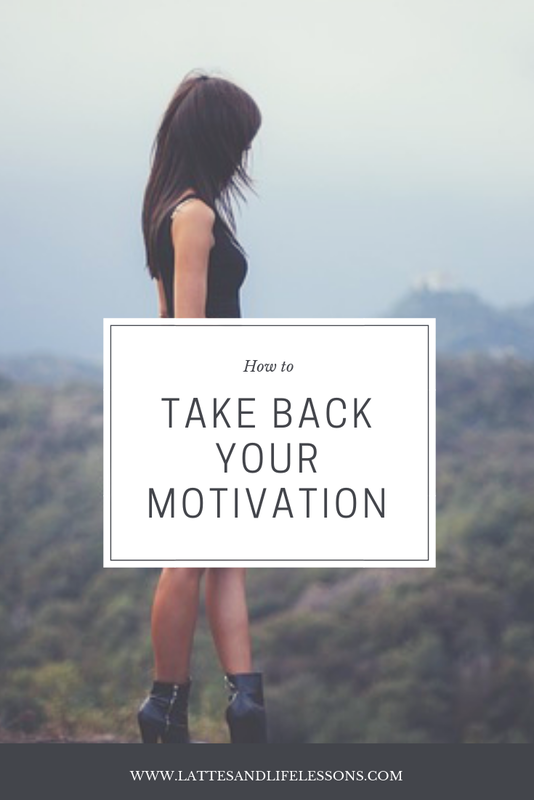 I believe there are many factors that may be the reason as to why you are not motivated, energized or excited about your life, or life in general. A few examples can be a lack of purpose, fear of failure and/or success, and over thinking. The list can go on and on. The key to motivation, I think, is to find something, anything, that peaks your interest and put your focus into that. Starting off small will take you to bigger places in life, so don't rush yourself, be patient, and put faith in yourself. You’ll get to where you want to be when you are ready. Look back at what you’ve already achieved. If you have been working on your goal (or goals) for quite a while now, then now would be the time to consider all that you have accomplished so far. All long-term goals take multiple steps to accomplish. So, take pride in what you have achieved thus far, and remind yourself of these achievements, and more importantly: be patient and don’t be so hard on yourself when thinking of how many more steps you need to complete. 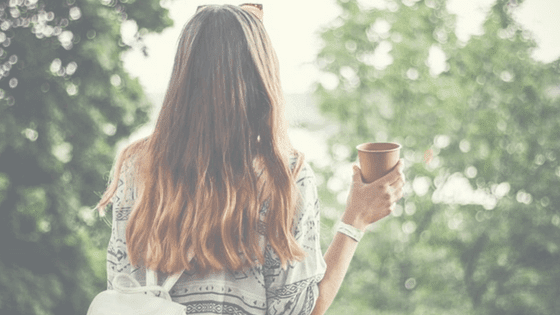 When I’m frustrated with what feels like lack of results from working toward my goals, I sit down and make a list of the steps I have already executed to reach the point of where I am so far, and what the results of those steps have been. I am always surprised at how much accomplishments I had due to those steps. This clarity helps in releasing those feelings of frustration and helps with motivating me to continue, rather than giving up. Take the time to look at the bigger picture and realize where exactly you are, how much you have gained, and how far you came from where you once were. For some odd reason, it is human nature to want things to happen instantly. We don’t feel satisfaction until the task is fully complete. Because of this, so many of us forget to take time out and enjoy the journey. Set exciting goals for yourself. Without solid goals, life can sometimes seem pointless. Without aspirations and dreams, you have nothing really exciting to do, or anything to motivate you. Change that by coming up with some goals that truly excite you. Goals that inspire you so much, that you begin to see how much of an impact you can make in yours and other people's lives. You need to be aware that mistakes allow you to gain helpful experiences to avoid similar mistakes in the future. You need to accept the past and the mistakes it has to avoid a negative impact on your attempts to remain positive. Nothing good ever comes out of fixating on past mistakes; so instead, create new opportunities that allow you to change your current situation and focus on the future. With all that said, please be aware that you are allowed to have unproductive days. You are allowed to break down. You are allowed to feel. Don't ever think that just because you want to scream out of frustration, that you are out of control; that you are somehow not worth it; that you are not good enough; you are AMAZING! And you are doing a great job. Never forget that. Everyone has bad days, or in my case, weeks. I didn't think my life would have ended up the way it did; this is certainly not what I had in mind when I was sixteen-years-old, planning my life, and envisioning my future family. I pictured myself finishing school, meeting someone, starting my career; my career being successful, and then a kid or two just before I turned thirty. It was going to be me, my husband, and my child living happily within our newly purchased home... 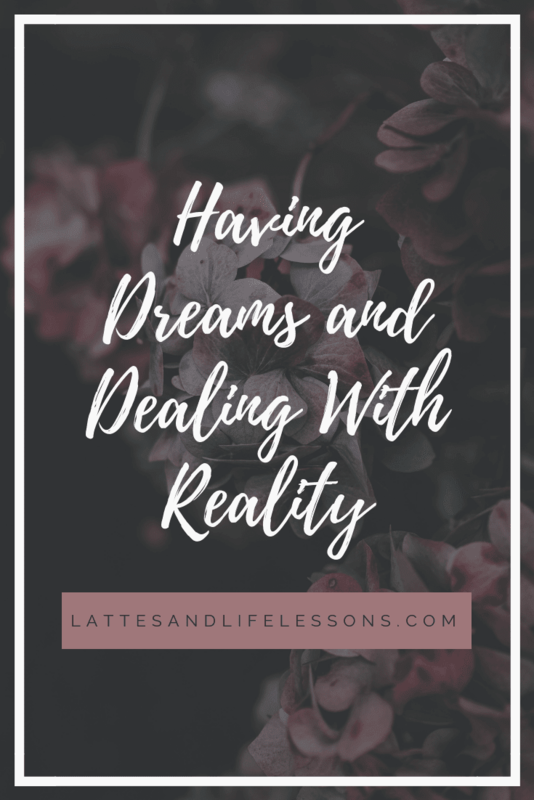 If only it were that simple, but alas, life has a weird way of turning out and a funny way of showing you just how naive and unrealistic your dreams can actually be. Seven years later, although my life is not what I envisioned, and I may have gotten my family sooner than I expected (and even though it started before I entered the picture), I can happily say that I wouldn't change a single thing. Despite there being very challenging and stressful days/weeks (to say the least), my life has ended up being exactly what I needed. In these long yet short four years since I entered this family, I have learned and grown so much (if I do say so, myself). Choosing to raise, care for, and nurture a child that I did not give birth to, and was just getting to know, has probably been one of the most challenging, stressful, and rewarding roles I have ever taken in my twenty-plus years of life. And I am so happy that I chose to stay, instead of leaving like I had intended to do during the start-up of my and Charles' relationship. Although being a bonus mom (stepmother) was most definitely not the plan, I am beyond grateful I was given this opportunity to help raise another woman's son. Jr and I have grown so close, he comes to me now, with certain problems and success stories, before he goes to his dad, and the feeling is so amazing. I may not have given birth to Jr, but I do view and take him as my own son and I am happy and relieved to say that despite our differences, Amanda (alias) views me as another parent for Jr too. Me, Charles, Jr, and Amanda have come such a long way since day one. And although Amanda and I have not spoken to each other for quite a long time now, we are still on the same page when it comes to our son, and I suppose that's all that matters and what counts. It's one of the things that I learned while being a bonus mom: it's okay to have differences and arguments, just don't allow it to affect the child. Which has made me learn how to keep myself in check because the last thing I want Jr to feel or see is the three of his parents arguing and not on great terms. Keeping the environment healthy and stress-free for the child(ren) is one of the best things you can do for them, especially if you're separated. Our children deserve to have parents who can work as a team. No matter if you aren't getting along at the time. Co-parenting isn't asking for permission; it's about discussing your child's needs and wants and deciding (together) what is best. We all have had some rough and tiresome days, that’s no secret. 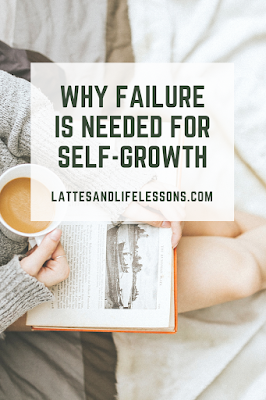 Mistakes are made almost every day, and yet some of us are still at a loss as to what to do after they fail; they almost always hang on to it, reliving that failure repeatedly as some form of self-punishment. 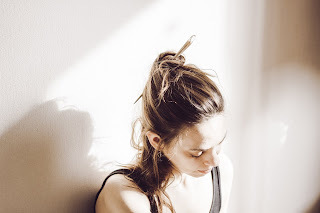 If this sounds like you, then let me tell you something: I have been where you are, and believe me when I say this, you don’t have to keep punishing yourself. If you were able to accept failure and welcome it, instead of dreading it, I bet your life would be a whole lot simpler. Often, our fear of failure is embedded in our fear of being judged and losing our friends or family's respect. We are both scared and influenced by what people say and think about us (whether we like to admit it, or not). But remember, this is your life, not theirs. What one person swears to be true about you, is not the truth about you, so don't give too much power to them; don't take their opinions of you so seriously, it could weaken your passion and confidence; weakening your ability to be successful in yourself and your career. Instead of seeking approval from others, seek self-confidence and self-respect. No one has enough power than you, yourself, to push you in the direction you want to go. Love yourself, and stay focused, everything will be okay and be right in the end. Tormenting yourself over your failures will not change the outcome. In fact, it will only make it worse, preventing you from moving on. You may not be able to change the past, but you can build and shape your future. You may not be able to prevent obstacles from popping up in your life, but you can choose how to react to them. They may block your vision temporarily, but if you persist, you will see the opportunities that have always been waiting for you on the other side of that fear. 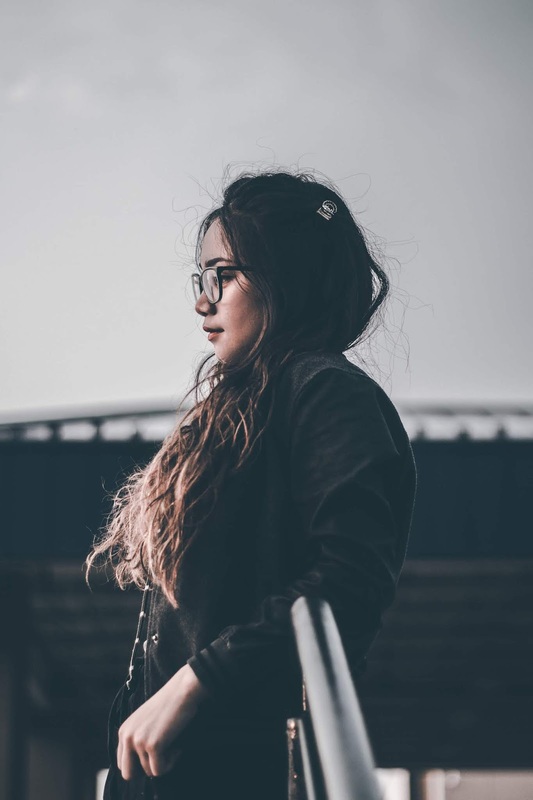 The faster you take a positive step forward, the quicker you can leave these dreadful thoughts behind and embrace the strong-willed, independent person you always were. It’s difficult to gain momentum and carry on with your aspirations when you’re still stuck in the past; always considering and beating yourself up over the “what ifs:” What if I didn’t do that… What if I did do that… What if…. To succeed in building your self-confidence and self-respect, you must want to burn those bridges, and actually do it and never so much as glance at that rear-view mirror; instead, look forward to your future of self-growth. You got this! If something isn’t going right for you, then there’s a possibility that either you’re not doing it right, or you just lack the correct tools and support. That’s okay! Don’t panic or get angry, there are tons of different ways to succeed in the area you are trying to succeed in. You must ask yourself, “what else can I do?” and do a little research on all the possibilities to help you. If you’re not sure on what to do, then get in touch, I’ll help you figure that out! Unfortunately, there aren't any shortcuts when it comes to you and your goals. And you realized that, haven't you? Otherwise, you wouldn't be here, reading a post about how to accept failure, instead of reading one saying "how to bypass failure altogether." You’ve started, but it’s a lot harder than you first thought. Maybe it’s taking too long, and you think you will never succeed. But, you know what? You will. Remember, every step, no matter how small, hard, or frustrating, brings you closer to that goal you want to accomplish. Keep taking those steps. Keep steady on your course. With each obstacle you overcome, you are inching your way toward that vision. You are learning, and you are growing. That right there is an accomplishment. Bottom line is, failure is great. You heard me: great. It makes us stronger, kinder and wiser. We learn from failure. So, keep your head up. You’re doing okay. It is very powerful, and I intend to use it all the time; I am sharing it today in hopes that it can help you as well. Like most, when I first watched Robbins' video on YouTube and heard her speak of the 5-Second Rule, I thought it was bogus and that she was pulling my leg. "Counting down from five can change my life? You can't be serious," I believe were my exact words. I literally thought that what she spoke of, was a joke! But just the way she spoke of her past and how she used the Rule to break her habit of hitting the snooze button had me intrigued; since I am running a blog that is supposed to help people, I figured I would try it out, just in case it did work. And you know what? On my word, it did. Boy did it ever work. You see, because I am taking classes at my local college, I have to wake up every morning around 8:15-8:30a.m. Monday through Thursday. You're probably thinking that that isn't early at all, but trust me, to me it is (before I started these classes I would wake up around 1p.m!) because I am, and never was, a morning person. By counting down from five, out loud, when I first hear my alarm clock going off, I no longer hit the snooze and go back to sleep; instead, I get up as fast as I can (you're not supposed to think about it), shower, and study or work before I catch my bus. Because of the Rule, I really do believe that I will one day be a morning person with or without using an alarm clock. I am a huge procrastinator. Huge. I would have a test to study for and I'd leave it until the last minute. Which is most likely why I never did so good on tests in the first place (don't worry! For blessings unknown to me, I still passed). I would get distracted and binge-watch my favorite TV shows until it was very late at night, or I would go out with my boyfriend and take our dog for a hike. One time, I waited until the last minute to make an appointment with my dentist because of 1.) I didn't want to stop what I was doing to make the call and 2.) I thought I would have been able to deal with the pain until it got a little more painful (wrong! The pain kept me up at night in tears). By the time I finally made the appointment, I still had to wait an extra month due to how busy it was (she informed me, while she was drilling my teeth, that had I called a week or two sooner, I would have gotten in right away. Face-palm). 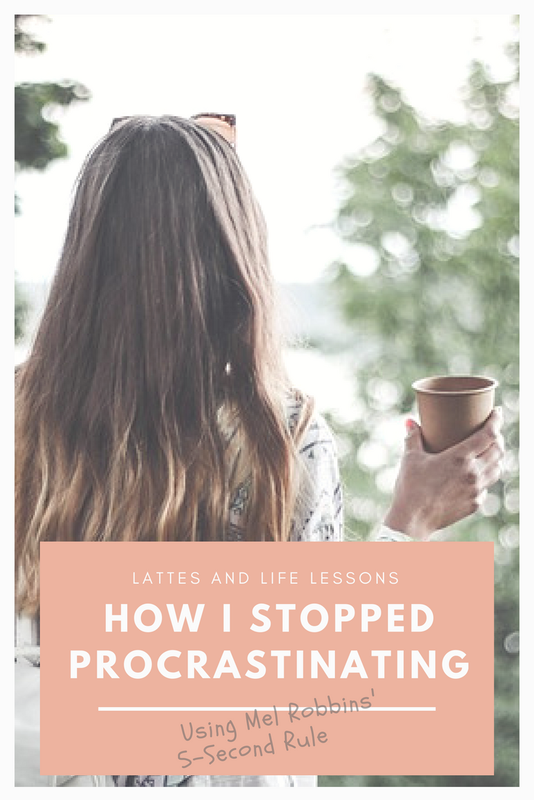 Bottom line is, I was very bad with procrastination. Unhealthy, even. But I noticed that after I started counting down and acted without thinking about it first, I started studying as soon as I got home to get it out of the way, my time-management and decision-making skills were way better than what they were a month ago, and I was no longer hesitating to speak up while in class. Of course, like I said, this is still relatively new to me, so I'm still working a few things out. These are only two ways in which the Rule has helped me improve myself. I hope you enjoyed, and I hope you gained something helpful. Please, don't forget to watch the video! It (and she) are truly, truly, inspiring. I honestly watch it every night before I go to bed and while I am studying. Depression not only drains your energy, it drains your hope, drive, and will; which makes it all that much harder to feel better. 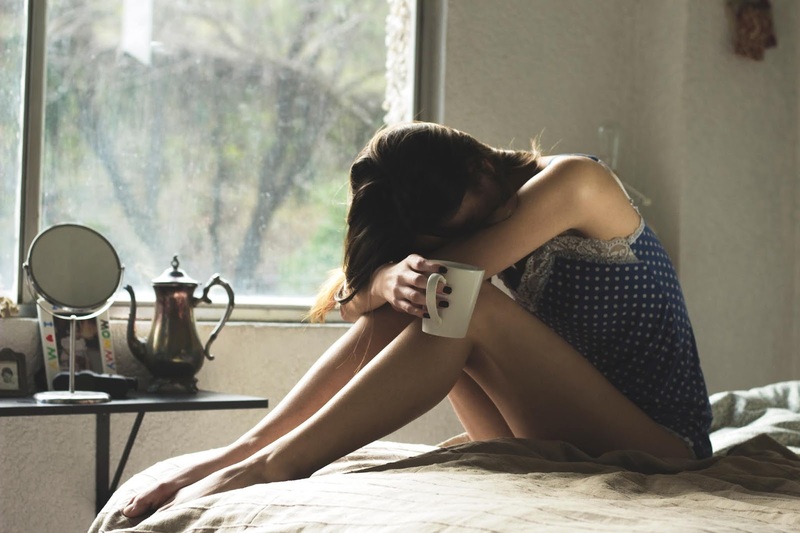 It’s completely normal to experience a variety of emotions at once, but while trying to overcome depression is far from being easy, it is also not impossible. No matter how severe your depression is, you have more control than you realize. From my own personal experience, I realized the key is to go through the emotions, don’t fight them, don’t hide from them, and don’t lie about them. Feeling better takes time, don’t try to rush anything. If you make positive choices each day, then easing your way through this never-ending battle will be somewhat simpler. I know it might sound difficult right now, but trust me, it’s not as hard or as painful as it is where you might be right now. I know your energy might be slim, but it's important that you pick up a phone and call a loved one or turn on your laptop or phone and find someone online and just talk. Reaching out and connecting is so important to depression recovery; staying connected to the outside world might help your mood and your will tremendously. Doing the things that make you smile more often helps a lot, as well. You have to do things that will help relax you and give you energy. Whether that’s meditating, yoga, exercising, walking through the woods, or even petting your dog for an hour or two (trust me, I've done it). I like to sit on the beach and listen to the waves of the ocean and the seagulls. Whether it is day or night, or if I am in the middle of a class, I go there because it helps. I don’t know what it is about nature, but it truly is the best medicine I have ever found when it comes to my mental health. 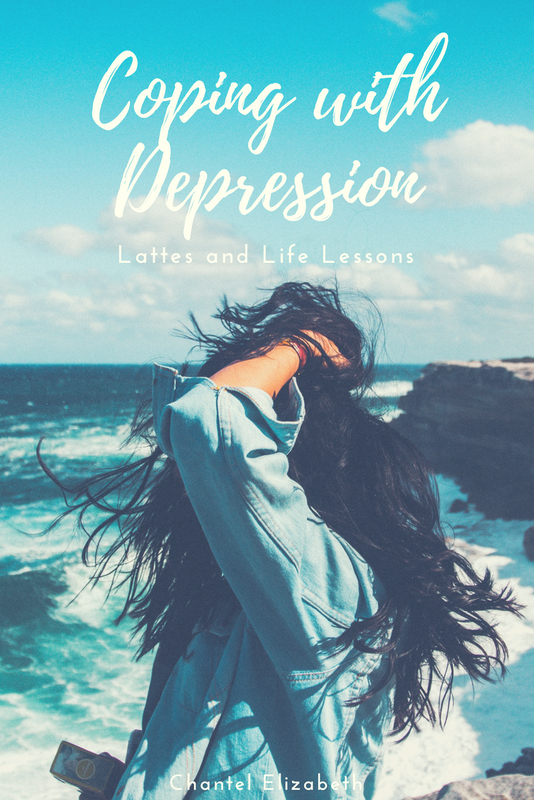 While I was going through my… “episodes” of depression, I felt defeated, afraid, and hopeless. No one knew what I was going through because I never told them. And you know what? I wish I did tell them; the loneliness, abandonment, and hopelessness that I felt, was of my own doing. I didn’t see it then, but I see it now. Of course, depression is not exactly curable; I still have my episodes and they can get really bad, but now that I talked to my other half and best friend and opened up about everything, I have a support system in place. And it helps a LOT. So don’t be afraid to reach out to someone, it doesn’t even have to be a person in real life; reach out to someone over the internet, someone who you can connect with; because hiding something as serious as depression from others to "spare them," can be extremely harmful to your body, mind, and soul. Even dangerous at times. The only way to “win” this battle, is to accept that you need help, accept who you are, and realize that you are not alone. Once you accept this, you will be better prepared for the next time. You have a purpose in life, and I want you to know that you are never alone. If you need someone to talk to, or need someone to just listen to you, I am always here. I know how you feel and what you are going through because I have been there myself. Hell, I still am. So let's fight together. I hope this helped you in some sort of way, whether big or small. Thank you so much for reading, and I hope you feel better soon. Remember, you are not alone, you are worth it, you are beautiful, and you are needed. Disclaimer: I am in no way a professional or a doctor, this is from my own experiences only; what worked for me, may not work for you. Always, always, always do your own research and/or consult with a professional.